This Christmas Printable puzzle busy bag is a part of the busy bag blog much like the one we did a while (last time I made the printable animal puzzle busy bag – be sure to check it out). This time we decided to make things more festive and Christmasy so you’ll find quite a few fun projects to keep your kids busy during the holidays. 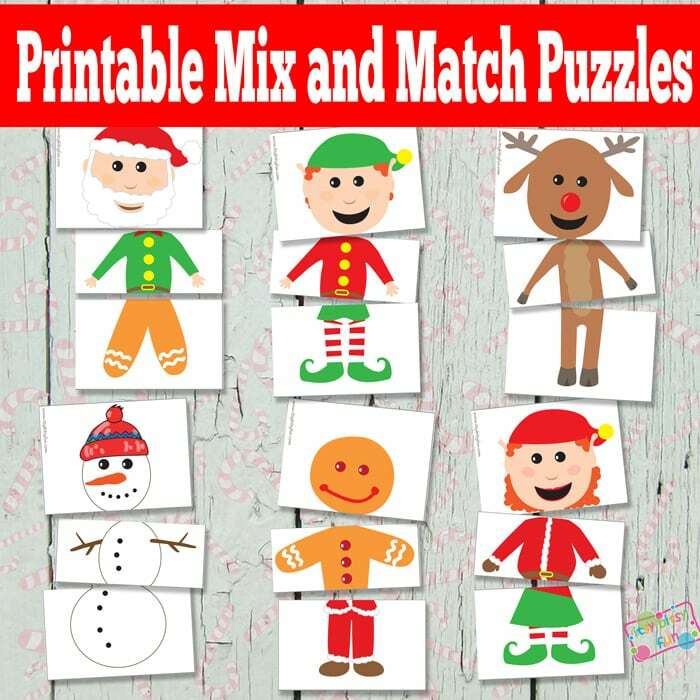 I’ve made fun mix and match puzzles with Christmas characters so kids can either put the characters as they “should” be or mix and match them to create their own creations. Let’s have some learning fun! This is my second attempt at making these puzzles and I think I’m getting better at it! Now I already have a “template” for people and animal puzzles so expect to see more in the future! For now there are 6 different Christmasy characters (Santa, she elf, he elf, gingerbread man, snow man and a reindeer (Rudolph to be exact)) each of them has 3 pieces (head, torso and legs) so there are a lot of fun combinations to be made! Your kids can also just use the front and the back to make funky characters. You could print these on thicker paper to make them last longer or (and I recommend this more) you could laminate them and make them super durable (not to mention making them spill prof). 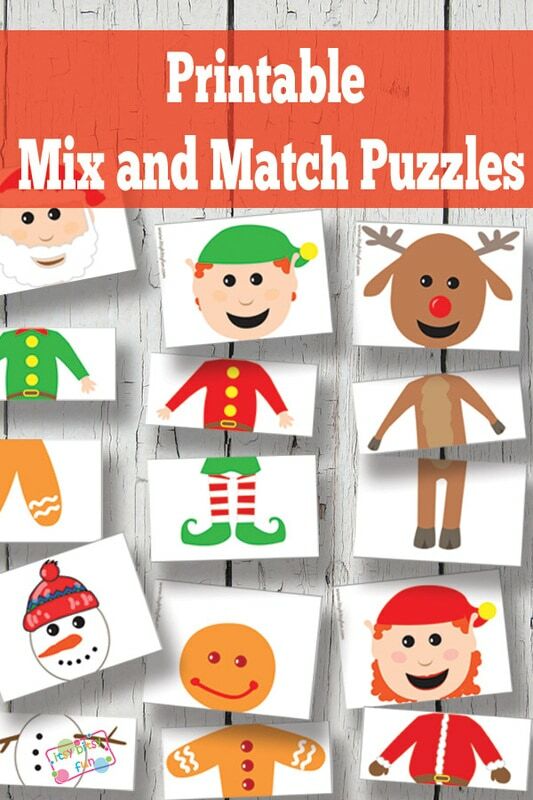 Get your free printable Busy Bag Christmas Puzzles here. 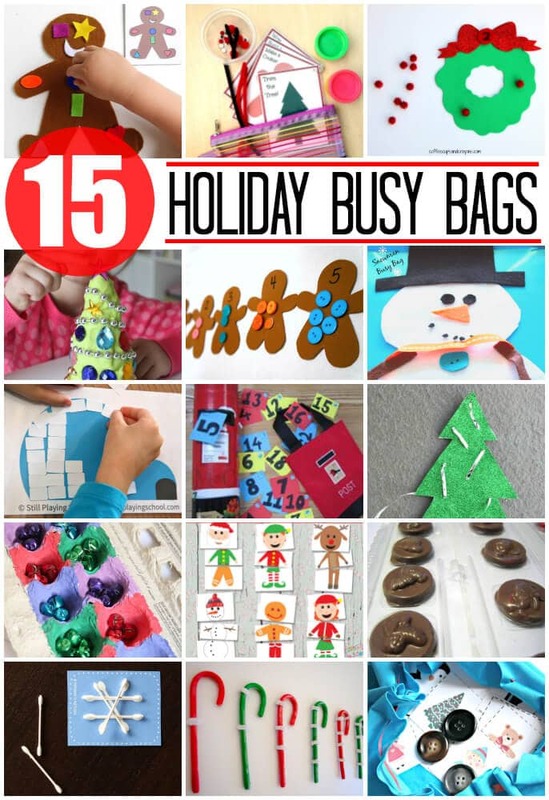 This post is a part of Busy Bag Blog Hop so be sure to check all other awesome ideas! Check out these awesome ideas from some of our favorite kid blogger friends. Decorate a Play Dough Christmas Tree Play Kit // Mama. Papa. Bubba. If you want more mix and match action be sure to check the dinosaur memory game – it’s perfect for keeping their brains sharp. If you’re looking for fun activities keep the kids busy during road trips (or any other time ha!) also check the printable ocean activity book.